Matt’s excellent post a little while back "It’s 7pm. Where Are My Google Ads?" 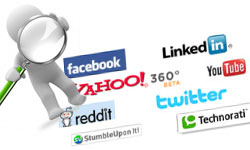 was about understanding the numerous factors involved in how your PPC are shown. We get a number of clients calling about ad visibility and there generally is a very reasonable explanation which is often addressed through scheduling or budget adjustments. But how do you tell exactly when your ads go offline due to reaching daily budget? You can find this valuable information out using Google Analytics! Let me show you how…. 2) Select the hourly reporting link. 3) Click the ‘Advanced Segments’ button (top right). 4) Deselect ‘all visits’ and select ‘Paid visits’. 5) Finally select the individual days to see when your ads went offline that day! Now you can clearly see the time that (in this case) PPC budget was met. Time to revise the campaign to either minimize ineffective keywords or look at scheduling the ads differently to ensure that the ads last the entire day. Addendum – Using Advanced Segments to Show your Campaign Details. You can view campaigns on separate budget allocation by adding them as an ‘Advanced Segment’. Click advanced segments – create a new advanced segment. Now start typing “campaign” into the metrics/dimensions box and then drag the “campaign” box over to the right. 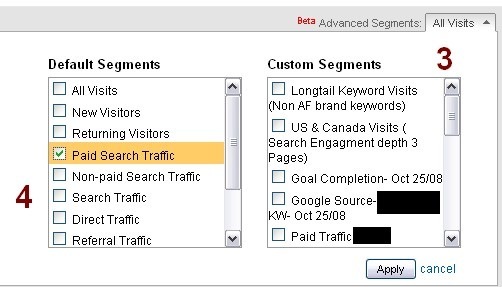 Name and create your segment(s) and apply them to the report to see how our campaigns sent traffic throughout the day. These simple steps will allow you to see how effective your ads are being. This is vital information to be able to tune your campaign to maximum effectiveness. Highly useful information Jon. Thanks a lot. Your article presents a different dissection on analytics alerting side of which most of us are unaware. Very informative post. Will be playing around with Google Analytics reports more. This information is a goldmine. Analytics is a fine science that tells us about the ins and outs of stats pertaining to our site. Mastering and knowing it in the most practical way that best suits their site’s performance is the task with web masters and analytics professionals. Sure enough, analytics resource segments like this play a good role in imparting such wisdom to the online community. Very interesting- Thanks for sharing your practical wisdom on a thing that nobody bother to notice or tell. You know, I have bookmarked this blog especially for getting some pragmatic knowledge on analytics from you guys.